There has been much talk about symbolic representation and what it means. Such matters, however, are sometimes best explained by images. Take a look at the two photographs below. Does one represent the other? No? Yes? Actually they contain the same people… but fifty years apart. In 1950 and in 2000. 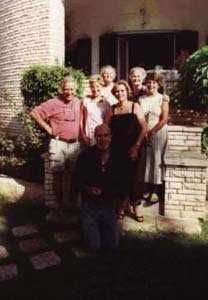 The location is a place west of Alexandria, in Egypt. 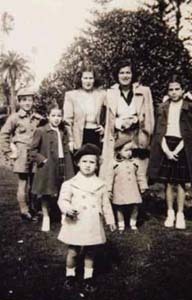 The photographer who took the picture in 1950 was my father, and that day he made my mother promise that no matter what happened, she should reunite us all at the same place in 50 years. He died in 1966, but my mother kept her promise. (For those interested, the small boy in the forefront is me). Here’s the point. A group of people deliberately set out to make an image that represented an event that had happened 50 years before. The two images are in correlation. This cannot be denied. It is a fact. And we can prove this fact. However, if we give these two images to a ‘scientist’ who does not take into account symbolic, intuitive or sentimental motives, he or she will just compare the two ‘maps’ and see if there is a precise match. The answer must be no, there isn’t. As the author John Gordon pointed out to me, such approach is an example of the misusing science. Because in such cases a scientist can say, with hand on heart, that something is ‘wrong’ when, in fact, it is right. 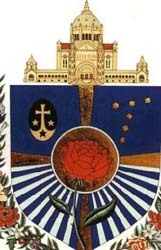 Looking at the two images above, it can be seen that there was a possible intention from the part of the Carmelite nuns of St. Therese of Lisieux (1873- 1897) to represent Orion’s belt on their blazon. But was there such intention? By comparing the two ‘maps’, however, it can be easily ‘proved’ that no such intention existed. First the ‘brightness’ or ‘size’ of the stars do not match. Then the angle of the stars in the blazon does not match the angle of Orion’s belt in the sky. In fact it can be ‘proved’, by reasoning, that the Carmelites, if they had intended at all to represent Orion, actually drew the blazon in c. 2500 BC! In fact the Blazon was, of course, made in the 1950s. But what about the stars? Well, they do represent Orion’s belt. This is because the little French saint had a special affection for Orion, as the picture below shows. Photo of a picture in St. Therese’s home in Lisieux. 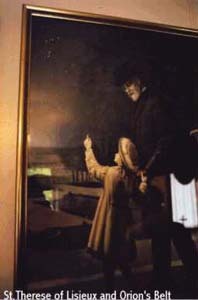 Here, as a child, she shows the location of Orion’s Belt to her father, M. Martin. Now let’s look at two other pictures. One of the Giza Pyramids and the other of Orion’s belt (taken by Lowell Observatory). We can see a possible intention by the pyramid builders to represent Orion’s belt with pyramids. But was there such intention? . 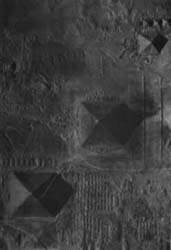 Did the pyramid builders have a keen interest in the stars? Yes they did. Do the pyramids have astronomical qualities in their design? Yes they do. Is there a feature in the pyramids that links them to Orion’s belt? Yes there is (the southern shaft from the King’s Chamber in the Great Pyramid). Are there contemporary or near-contemporary texts which are associated to pyramids in that region and which speak of a link with Orion? Yes, there are. Did the ancient Egyptians imagine the pyramids to be ‘stars’? Yes (the Zawyat al Aryan pyramid was called ‘The Pyramid of Nebka is a star” and the Abu Ruwash pyramid was called “The Pyramid of Djedefre is a Sehed Star”. Also the ‘soul’ (Ba) in ancient Egypt was equated to a ‘star’, and several pyramids bear ‘soul names’, such as “The Pyramid of Neferirkare has become a Ba (Soul)” and “The Ba (Soul) of Sahure Gleams”. From the above we must conclude that there is much that suggests a deliberate intention to represent Orion’s belt at Giza. Yet the BBC Horizon programme conveniently ‘forgot’ about all this. Instead they brought in the ‘scientific’ argument of a South African astronomer called Tony Fairall who calculated that there was an angle difference of 9 degrees of rotation between the alignment of the two larger pyramids and that of the brighter stars in Orion’s belt and, consequently, this ‘proved’ that there was no intention by the ancient builders to represent Orion’s belt by the Giza pyramids. But how did Fairall measure this angle? Well, according to him he first measured it ‘off’ the planeterium screen, then calculated it using spherical trigonometry. The ancient Egyptians, however, had to measure it literally ‘off’ the sky. 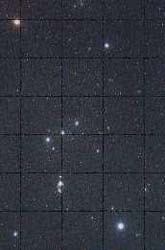 Now the angle of rotation of the two (lower) brighter stars of Orion’s belt, as it appears to the naked-eye, is very difficult to measure within an accuracy of less than +/- 5 degrees of rotation, especially when we have to make use of simple and very rudimentary instruments and working in darkness. Why not try it from your home tonight? At this time of year (December-January) Orion rises at around 6 PM and reaches the meridian at about midnight. At any rate, even it were feasible to do get an accuracy of less than +/- 5 degrees, this is really academic, for visually such a variation is almost impossible to discern for the small apparent length as Orion’s belt as it appears to the naked eye, as the diagram below demonstrates. So what can we derive of all this? Well, at best it is an example of the ‘misuse’ of science to argue a point which deals, predominantly, with issues that must be squarely placed in a context of a remote age in antiquity. At worst, it is plainly dishonest to present such an argument without a proper presentation of the context. But were the BBC2 Horizon programme-makers aware that they were doing such a thing? Let’s see. In 1994 BBC2 had made a programme called ‘The Great Pyramid: Gateway to the Stars’ in which precisely such a context was discussed and presented in great detail. Did Horizon know of this. Yes, because they actually used footage of this earlier programme to make Atlantis Reborn, shown on Thursday 14 December. 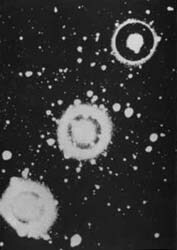 Furthermore the Horizon programme makers attempted to deride the star-ground correlation idea by fudging an image of Leo on the Manhattan area of New York in order to show, from their viewpoint, how ridiculous such an idea really was. But the Leo-Manhattan correlation was entirely devoid of any context i.e. there had obviously been no possible intention by the part of the various architects and town planners to create such a correlation. Frankly, the only conclusion I can draw from such odd behaviour is that the Horizon programme makers were either very naïve or were working according to a preconceived biased agenda. At any rate, it gave me the opportunity to show a photo of myself as a child.